Power generation, process automation, and factory automation in manufacturing industries require rigorous, continuous monitoring in the control room. 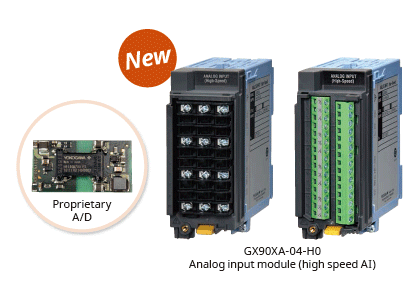 The GX series is Yokogawa's latest recorder offering for industrial automation. The GX series is an industry-first multi-point touch panel, to improve intuitive and smart operator control. Users can scroll, pan, zoom historical data, and even write freehand messages on its dust-proof and water-proof display. 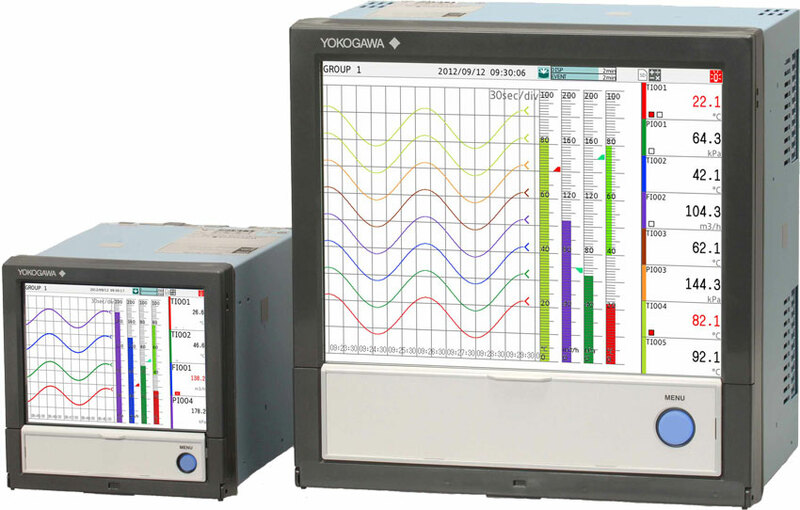 The Yokogawa GX series delivers industry leading reliability and measurement accuracy. Its custom graphics accommodates application or process-specific displays, while a wide range of communication protocols guarantee compatibility with your network architecture. It's simple for operators to view and retrieve past data with automatic email and FTP notifications. Standard display screens clearly indicate channel data with units and tags, plus alarm log, message log, and other event log information. New Custom Display function (option) lets you place graphic images on screens. The new touch screen provides swipe, pinch in/out, and click and drag controls for fast navigation of common display mode functions. 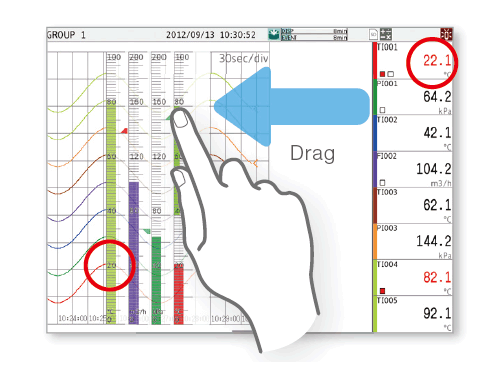 Use "2-point touch" to zoom in or out in the direction of display span. Operators can write a free hand text message directly on the touch screen with a stylus or finger. 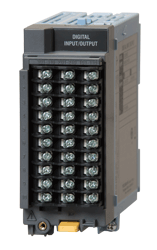 The fully modular I/O design allows you to build the system with the channels you need today, and expand the unit's capability any time in the future by purchasing and installing additional modules. The 10 channel universal input module measures DC volts, thermocouple, RTD, and contact input signals. 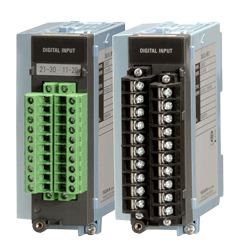 A 16 channel digital input module and a relay output module are also available. Choose the best color for your operating environment. GX10 and GX20 support up to 30 channels and 100 channels of input respectively. Up to 450 inputs available with an expansion unit that provides easy Ethernet connection to the recorder. The web application enables remote operation and monitoring from a browser. 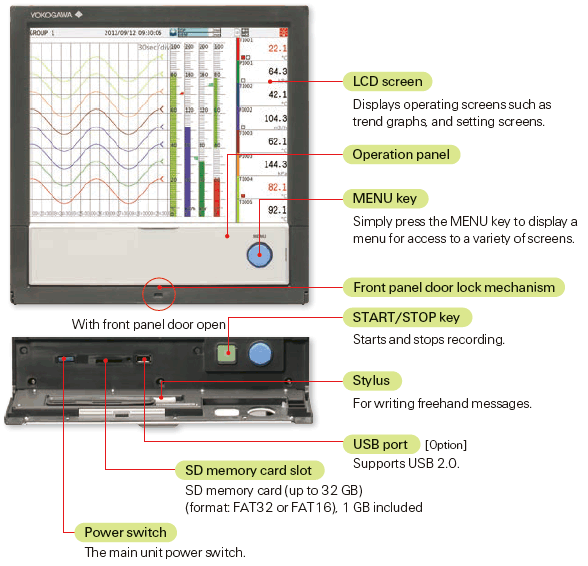 Various pre-configured control screens and display are available. 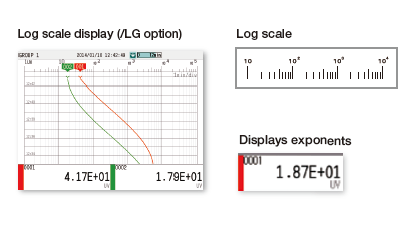 Users have the ability to choose two different scan intervals on a single GX system. You can print out reports and snapshots directly from the GX, without going through a PC. Reports can be created automatically using a spreadsheet template created in Excel. You can also output to a PDF file. 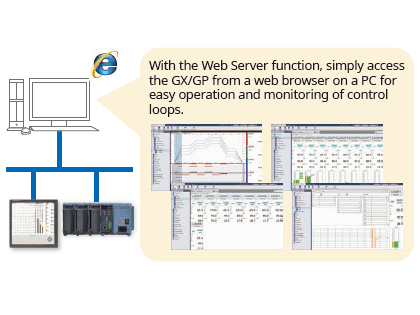 A web browser can be used to fully access the GX using two operating modes— Data and Configuration. Supports the U.S. FDA 21 CFR Part 11 (for pharmaceutical manufacturing). Easily acquire and record measured data from power measuring instruments (WT series, power analyzers). 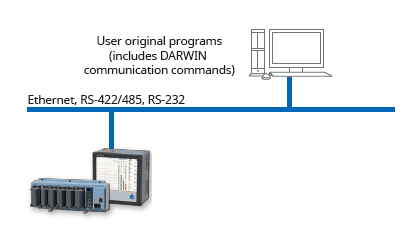 Upgrade smoothly from DARWIN data acquisition instruments. Recorder pre-defined channel groups to separate data files with independent start and stop control. 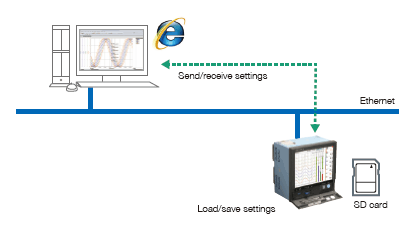 Protocol function that enables connection from a GX to Mitsubishi Electric PLCs without sequence programs. 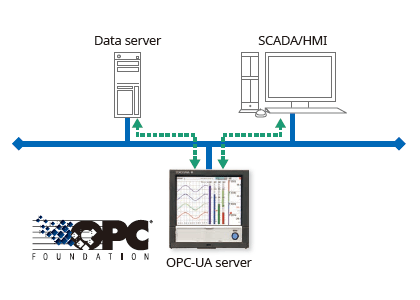 Data acquired by the GX can be accessed through Ethernet communication from a host system (OPC-UA client). Calibration correction schedule control function (option) Schedule management for periodically executing calibration correction configuration and the like. OpreX is the comprehensive brand for Yokogawa’s industrial automation (IA) and control business. The OpreX name stands for excellence in the technologies and solutions that Yokogawa cultivates through the co-creation of value with its customers, and encompasses the entire range of Yokogawa’s IA products, services, and solutions. This brand comprises the following five categories: OpreX Transformation, OpreX Control, OpreX Measurement, OpreX Execution, and OpreX Lifecycle. 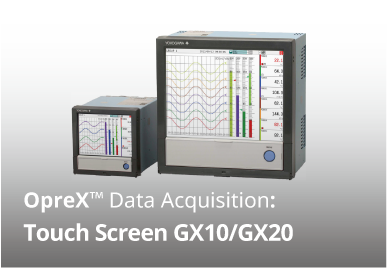 Paperless Recorder GX10/GX20 are part of the OpreX Data Acquisition product lineup, which is aligned under the OpreX Measurement category. The OpreX Measurement category includes field equipment and systems for highly precise measurement, data collection, and analysis. Seamless display of historical trends—flick or drag the trend display to scroll through the data, even during measurement. 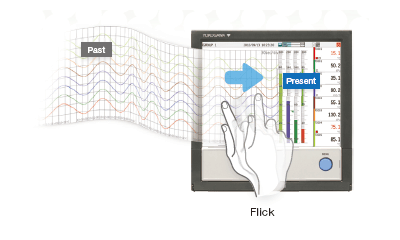 From a calendar, jump to waveforms of a specific date. From the alarm summary, jump to the waveform active during the alarm. Immediately clear areas of concern with a hand-written message. 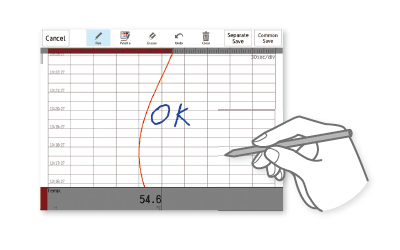 You can draw or hand-write on the waveform area using a stylus (standard accessory) or the tip of your finger. You can even select a color and line width. Alternatively, you can select from a list of preset messages. 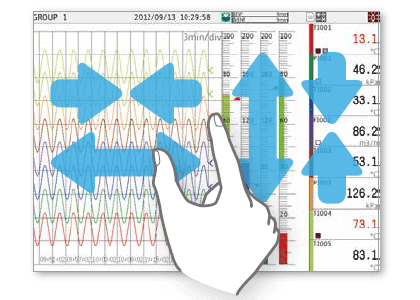 Save trend waveforms of interest or screens displayed during alarms as image (PNG) files, and print them out at the same time. Move the scale to display the value corresponding to that position as a numeric value. Instantly check maximum/minimum measured values. 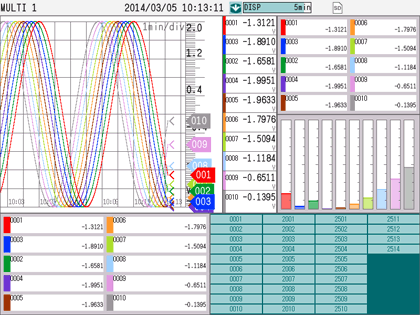 Long-duration trends can be fitted to a single screen for easy viewing. You can arrange display objects such as trend, numeric, and bar graphs any way you like to create monitor displays that are customized to the environment. Start/stop pumps and perform other operations. 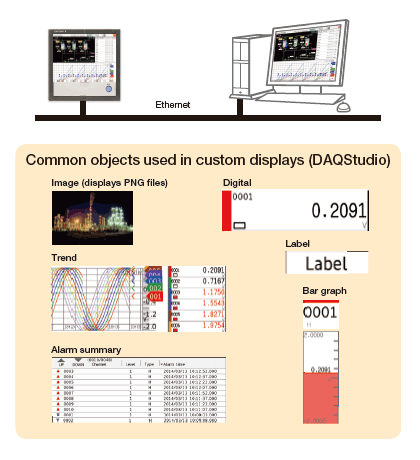 DAQStudio is software for creating custom displays. You can load screens you created onto the GX via Ethernet or external memory media (SD/USB) and display them. Physical quantities are displayed and recorded on a log scale. 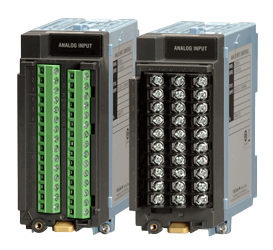 Inputs and outputs are modular for easy expandability. The GX multichannel paperless recorder main unit alone provides up to 100 channels (GX20) of measurement. 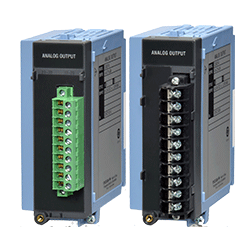 Select from a wide variety of input/output modules. Supports up to 450 channels of measurement. Note that if MATH and communication channels are included, the GX20 large memory type can record on up to 1000 channels. 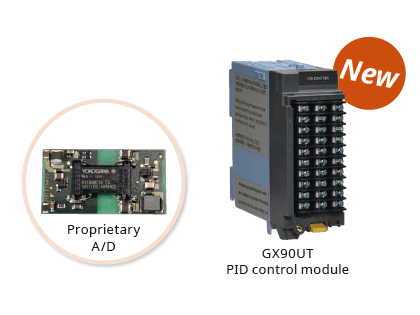 The GX main unit and expandable I/O can both use the same input/output modules. You connect directly with a LAN cable without connecting through a hub or repeater. 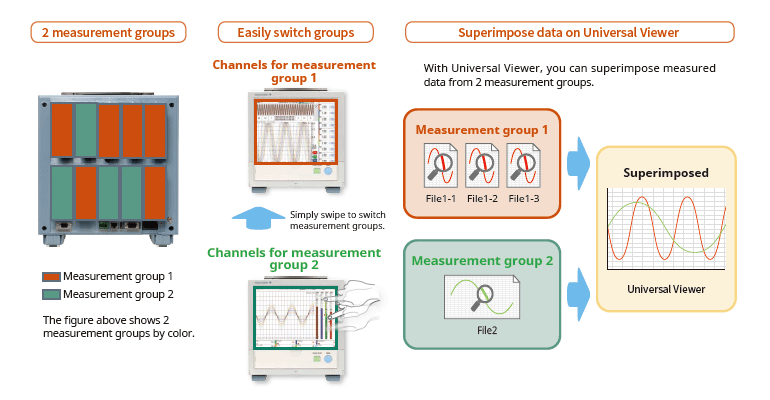 * You can also connect subunits of the GM Data Acquisition System. The number of channels is for analog input only. 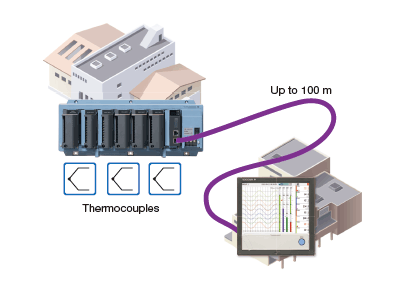 When the recorder is installed offsite (away from the DUT), you can place the expandable I/O at the site and monitor data without the need for long-distance wiring of thermocouples and other sensors. Through a Web browser you can monitor the GX in real time and change settings. 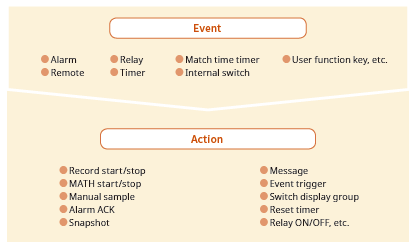 You can easily build a seamless, low-cost remote monitoring system with no additional software. You can view monitor screens in real time that are identical to the trends, digital, and other displays on the GX main unit. The setting screen lets you copy AI channel settings and other information to Excel for editing. You can reimport the data into the setting screen after editing. 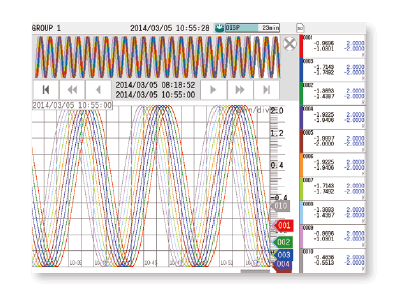 Dedicated software (free download) is available for loading waveforms and GX settings. Data files saved on the GX can be viewed and printed. 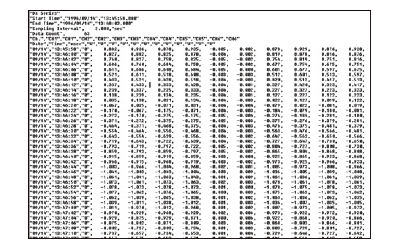 You can perform statistical computation over an area and export to ASCII, Excel, or other formats. Save settings or transfer them to the GX. Schedule management for periodically executing calibration correction configuration and the like. The correction factor can be set separately for unit and sensor dependency. 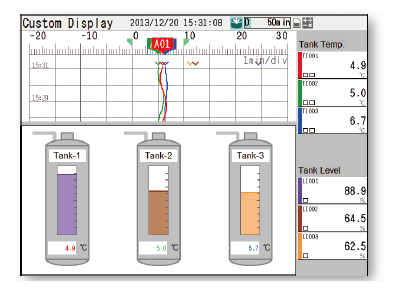 TUS report software enables you to easily create TUS (temperature uniformity survey) reports.*. 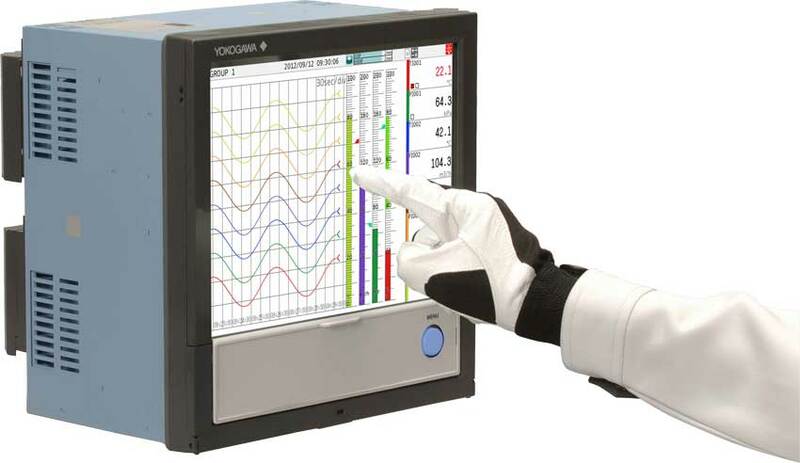 * For information on TUS software, contact your Yokogawa representative. Recorder pre-defined channel groups to separate data files with independent start and stop control. Up to 12 independent batches can be created. 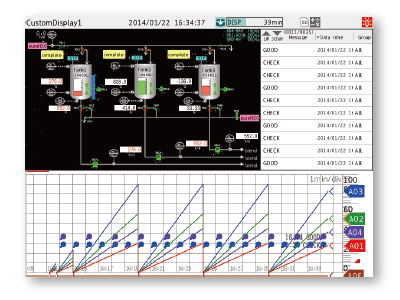 Combine and integrate complex legacy control panel into a simple and flexible data acquisition station. 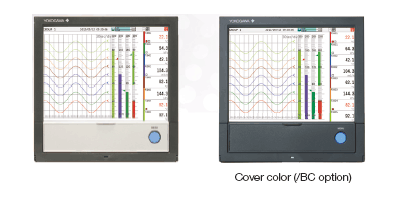 Remote operation is possible through screens that are customized for your specific system. 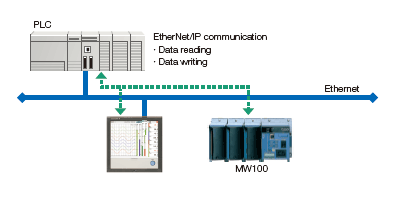 Yokogawa's proprietary A/D converter allows the high speed module to measure data points as fast 1ms. With 1ch per module. At 2 ms, 2 ch per module, and at 5 ms or more, all 4 ch per module. Users have the ability to choose two different scan intervals on a single GX/GP system. This allows users the flexibility to measure various types of inputs with two different scan intervals in a single system. For example, this provides for efficient, simultaneous measurement of signals with slow fluctuations such as temperature, and fast-changing signals such as pressure and vibration. Modules can be assigned to measurement groups. 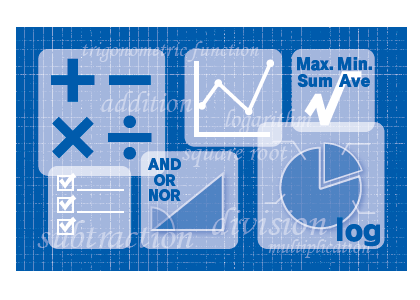 Supports various kinds of math computation, including basic math and functions (square root, logarithms, trigonometry). Write formulas using variables for measured or computed data and save or display the results—this saves time and effort on post-processing. Create hourly, daily, monthly, and other reports with the Report function. Ability to assign actions tied to specific events during the operation of the data acquisition station. 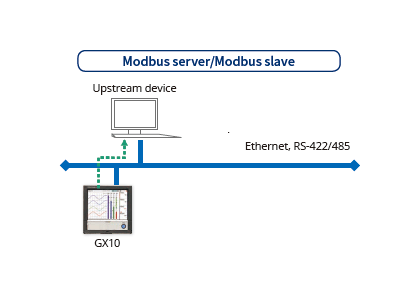 GX supports Modbus TCP/IP client and server modes for Ethernet communications and Modbus RTU master and slave modes for optional serial communications. * Requires the communication channel (/MC option ). 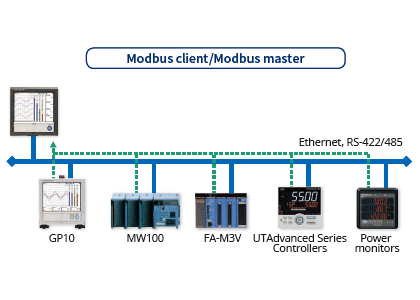 Using the Modbus/TCP and Modbus/RTU functions, you can acquire GX data from upstream devices. GX supports EtherNet/IP server functions. You can access GX from PLCs or other devices and load measurement/MATH channels or write* to communication input channels (GX10: max. 50 ch, GX20-1: max. 300 ch, GX20-2: max. 500 ch). * Requires the communication channel function (/MC option). *Requires the communication channel function (/MC option). Highly precise measured data from power measuring instruments (WT series power analyzers) can be acquired without loss of fidelity on the GX, and recorded and displayed alongside the GX's own measured data. This is ideal for performance evaluation testing because you can record instrument power consumption, temperature, and other phenomena simultaneously. Data acquired by the GX can be accessed through Ethernet communication from a host system (OPCUA client). Writing from an upstream system to a GX communication channel requires the communication channel function (/MC option). * See your dealer or nearest Yokogawa representative for details. 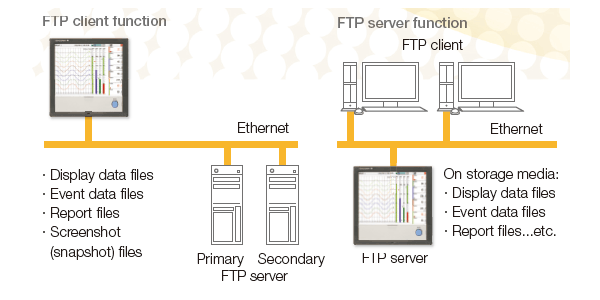 The FTP client/server functions allow you to easily share and manage data from a centralized file server. Using Dynamic Host Configuration Protocol (DHCP), the GX can automatically acquire the settings it needs (IP address) for network communications from a DHCP server. This makes it easier than ever to install the unit on a plant network. 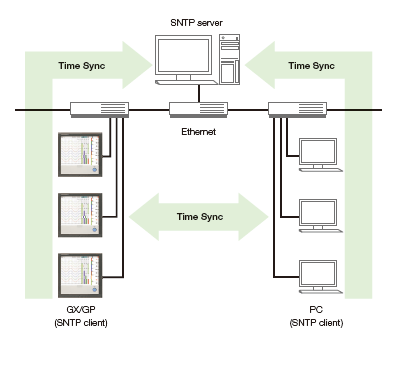 GX uses SNTP protocol in client mode to acquire time information from a network time-server. This function allows any number of GX units within a facility to have precisely synchronized time; all units will record data with coordinated date and time stamp information. In addition, GX can function as a server, providing time data to other SNTP client units on the network. 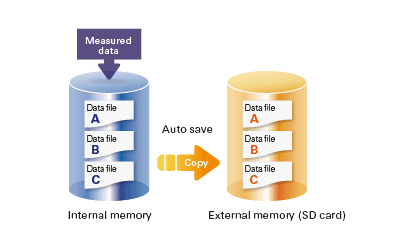 Measured and calculated data is continuously saved to secure, internal non-volatile memory. At manual or scheduled intervals, the files in memory are copied to the removable media. In addition, the files can be copied and archived to an FTP server. Because of the inherent reliability and security of non-volatile memory, the possibility of losing data under any operating condition or power failure event is extremely small. 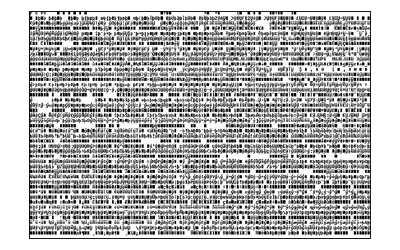 For increased security, measured data can be saved in binary format. This format is very difficult to decipher or modify in traditional text editors or other programs. To enable easy and direct opening of the data in text editors or spreadsheet programs, choose text format. This allows you to work with your measurement data without dedicated software. 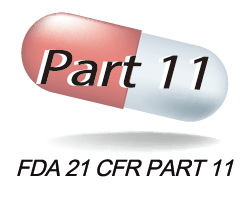 With the expanded security function option, the instruments support the USA FDA's Title 21 CFR Part 11 regulations (for the pharmaceutical manufacturing industry). It gives you access to a credential-based login function, electronic signatures, audit trails, an anti-tampering function, an Active Directory-based password management function, a sign-in function, and other security features. Safely sends and receives customer data. 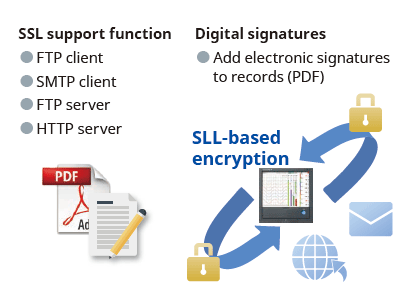 SSL: An encryption protocol for data sent over TCP/IP networks. The front panel door can be locked to prevent mishandling of the power switch or external media. *1 Cannot be set for the current input type (type suffix code: -C1) or 4-wire RTD/resistance type (type suffix code: -R1). *2 Cannot be set for the current input type (type suffix code: -C1), electromagnetic relay type (type suffix code: -T1), low withstand voltage type (type suffix code: -L1) or high withstand voltage type (type suffix code: -V1). *3 Can only be set with current input type (type suffix code: -C1). *4 Can only be set with 4-wire RTD/resistance type (type suffix code: -R1). *5 Can only be set with high speed universal type (type suffix code: -H0). The rising edge of the pulse is counted. *1 Integration requires the math function (optional code /MT). 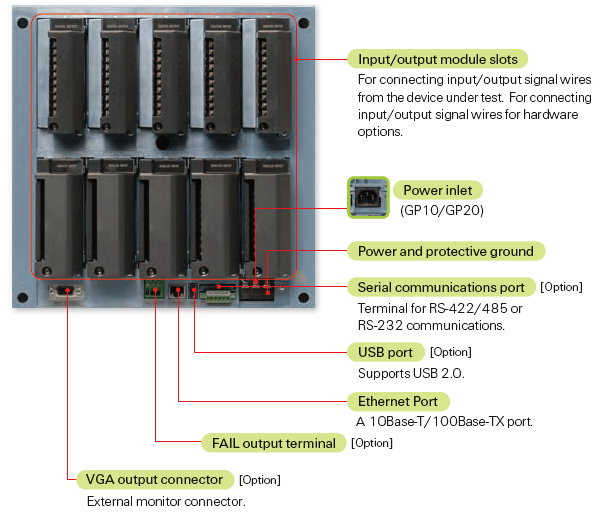 Each unit (GX/GP main unit and expandable I/O), can use 1 module only. During integration, the following accuracies are added. * Integration requires the math function (optional code /MT). 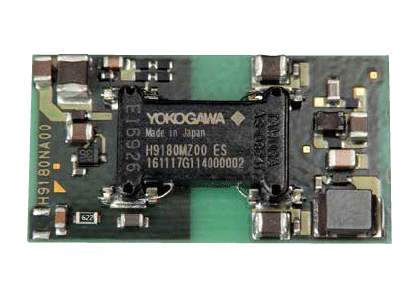 Contact: 15 V DC or higher and 30 mA or higher rating. 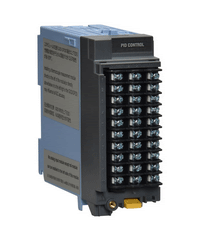 Minimum applicable load current 1 mA or less. Power supply for current, voltage pulse, or sensors. The SD cards of the following manufacturers have been verified for use with SMARTDAC+ GX/GP/GM, μR10000/μR20000 and FX1000. However, please note that Yokogawa does not guarantee normal operation of the SD card when using with products listed below. This is a list of recorder and controller products that support the RoHS (2011/65/EU) directive. List of languages ​​that can be set for each model. Okinawa Cellular Telephone Company has launched an experimental vegetable factory to encourage farmers in the prefecture to enter into that business. The 80 square meter vegetable factory engages in hydroponics, and uses 100% artificial lighting. Located at Nanjo City in the southern part of Okinawa island, the facility holds six levels of beds dedicated to raising greens like romaine and leaf lettuce. Multi-touch technologies have rapidly moved from the commercial to the industrial sector where they are being used to enhance data analysis. 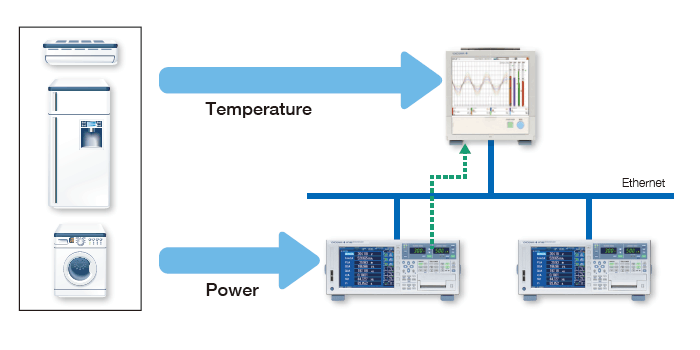 Smart user interface, smart architecture, and smart functionality is achieved in the new Yokogawa SMARTDAC+ data acquisition and control product series. 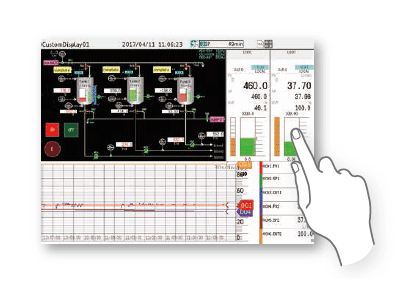 The Yokogawa SMARTDAC+ GX and GP are fully integrated measurement, display, and recording platforms equipped with an advanced touch screen operator interface. GX series is a panel-mount design, capable of operating in harsh industrial applications and environments. 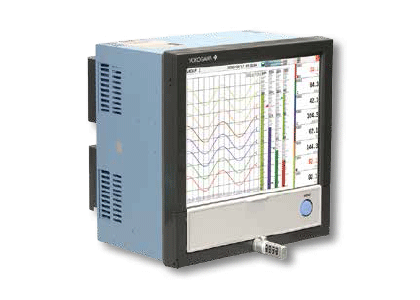 GP is the portable version of the GX, intended for use in lab and test bench applications. This short video introduces SMARTDAC+ GX20 Data Acquisition Station and demonstrates how quickly we can set the unit up to do measurement and data recording. 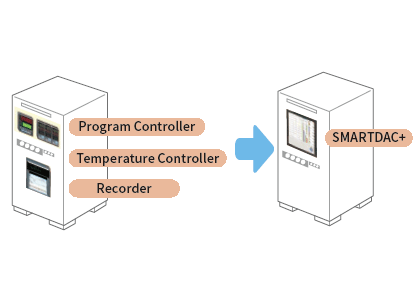 This short video shows the method of adding input/output modules to the Yokogawa　SMARTDAC+ Data Acquisition recording system and how to confirm corerct installation. 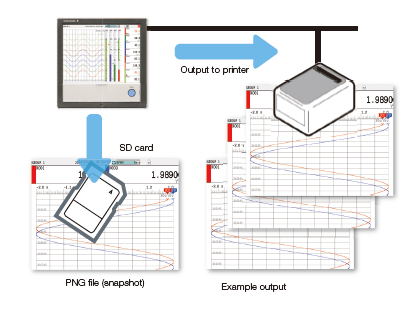 This short video shows the method of configuring alarms on the SMARTDAC+ paperless recorder. In this example setting a high alarm on channel 1 at 25 Deg C.
This short video shows the method of configuring group settings in SMARTDAC+ paperless recorder. This short video shows the method of loading a configuration file stored on an SD card into a SMARTDAC+ paperless recorder. This short video shows the method of configuring tag numbers in the SMARTDAC+ paperless recorder.